Office chair floor mat options and more. Our range of office floor mats serves a variety of purposes. For example, scraper mats help to keep dust and mud from the office. 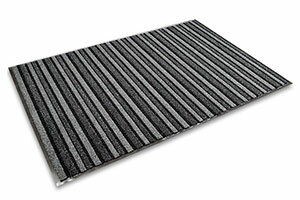 Anti-fatigue mats prevent back ache and provide a firm footing. Similarly, anti-static office floor mats help to reduce static electricity in places where you've kept sensitive electronic equipment. OfficeRock.com is the largest seller of office supplies in the UAE. We deliver all over the country, including Abu Dhabi and Dubai. Order office floor mats and other supplies and we'll provide them within five business days.